VaporSolve™ Primer is a specially formulated water-based epoxy designed to provide superior adhesion over concrete with high levels of moisture vapor emissions. When used with the companion finish coat, 100% solids VaporSolve™ 100, a coating system is achieved that reduces moisture vapor emissions to acceptable levels for all flooring and maintains its bond under continuously moist, alkaline conditions. 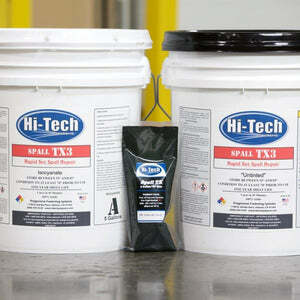 VaporSolve™ Primer is also ideal over damp or green concrete. The product may be applied at temperatures between 40-100 °F. 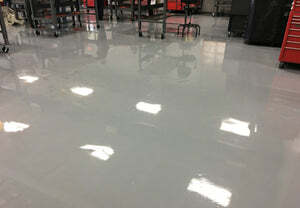 VaporSolve™ Primer is based on epoxy curing agent technology with more than 30 years of success as a concrete primer. It has been formulated with very low viscosity and surface tension to ensure excellent substrate wetting, penetration and adhesion. Laboratory testing has shown that VaporSolve™ Primer penetrates 25-30% deeper into concrete than low viscosity (250 cps) 100% solids epoxy. This exceptional penetration and adhesion gives VaporSolve™ Primer a distinct advantage over 100% solids epoxies when coating concrete that has interior contamination that cannot be detected without laboratory analysis. 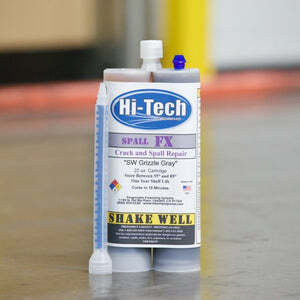 It is especially useful as a primer over silicate contaminated concrete and greatly reduces the chances of outgassing in applications over porous concrete. VaporSolve™ Primer is reacted with Bisphenol F epoxy rather than the standard Bisphenol A, which results in more crosslinking and a tighter coating film. This means less moisture vapor transmission and better resistance to alkaline water at the bond line. The material contains no plasticizers, phenols or unreacted amines that could migrate out of the cured coating and trigger bond failure. Together, VaporSolve™ Primer and VaporSolve™ 100 form the VaporSolve™ Ultra System, which is designed to remediate all concrete moisture problems, regardless of severity. 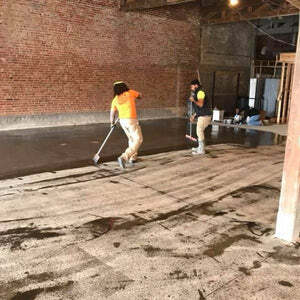 VaporSolve™ may be used in new construction settings when a schedule must be met, yet the concrete is not dry enough to allow for the installation of moisture sensitive flooring. It can be used over concrete with known moisture problems and over concrete that has been placed without a vapor retarder as a means of preventing future moisture problems. Modified Bisphenol F epoxy crosslinked with a water-soluble amine. System modified with a saline adhesion promoter. 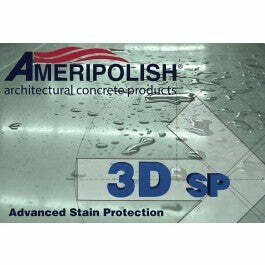 Concrete must be clean and have a CSP profile of 3-4 (texture similar to 60-80 grit sandpaper). Must be applied at the specified film thickness. 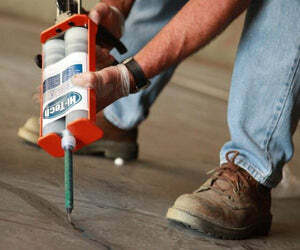 Concrete must remain sound for coating to stay permanently adhered.